When you’re ready to say goodbye to sun damage, rosacea, and dark spots on your face and neck, a photofacial may be just the treatment you need. The exceptional team of medical aestheticians at Skin Serenity Medispa in Haverhill, Massachusetts, provide state-of-the-art intense pulsed light (IPL) photofacials to men and women who want to rejuvenate their skin gently and effectively. Find out how IPL photofacials can transform your skin from dull to radiant without downtime. Call for an appointment or book online. This skin rejuvenation procedure is a gentle, non-invasive treatment. Our intense pulse light and laser technology is a safe and effective procedure for the face, neck, and for all skin types. It treats conditions such as hyper-pigmentation, broken capillaries, fine lines, and acne scarring, effectively and safely, with no down time. Also a great treatment for increasing collagen production, improving the texture of, and evening out one's skin. The result is smoother, healthier and more youthful skin. You can receive IPL treatments on your face, hands, neck, and chest, to get visibly younger-looking, rejuvenated skin. Photofacials are gentle and safe for all skin types, too. 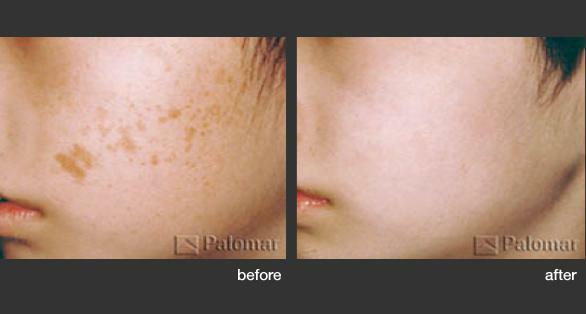 How is IPL different from laser treatments? IPL is different from laser treatments because it uses a variety of light wavelengths to treat your skin, whereas a laser focuses just a single wavelength of light. Since the light energy from an IPL treatment is less focused than a laser, IPL causes less damage to the surface of your skin than a laser potentially might. IPL energy penetrates below your epidermis (top layer of skin) to the dermis (the layer below), leaving the epidermis unharmed. During an IPL treatment, the pigment in your skin absorbs the light energy, which then destroys unwanted pigments so dark spots appear lighter and sun damage fades away. IPL photofacials are typically painless and they’re noninvasive with no downtime, making them a safe, effective method of treating a variety of skin concerns. Intense pulsed light improves your skin’s overall tone and texture, and increases collagen production for smoother, healthier skin. Intense pulsed light is a gentle procedure, and most men and women need a series of treatments for maximum benefits. Each treatment takes just about 30 minutes or so, but you may need up to four treatments spaced 4-6 weeks apart. Everyone’s skin and conditions are unique, so your medical aesthetician customizes a photofacial treatment plan that works best to achieve your specific skin care goals. What can I expect during my photofacial treatment session? During your IPL photofacial treatment, you relax comfortably while a skilled medical aesthetician treats your skin. You may feel a slight warming sensation or a sting, but it’s over quickly and usually well tolerated. The light stimulates new collagen production below the surface of your skin, so over time, you can get the same benefits as you would with laser skin resurfacing or a chemical peel, without the downtime or discomfort. If you live in the Merrimack Valley and you want to improve the overall look of your skin, call to schedule a photofacial consultation at Skin Serenity Medispa or book an appointment online.